Add all ingredients, with ice, to a Cocktail Shaker. 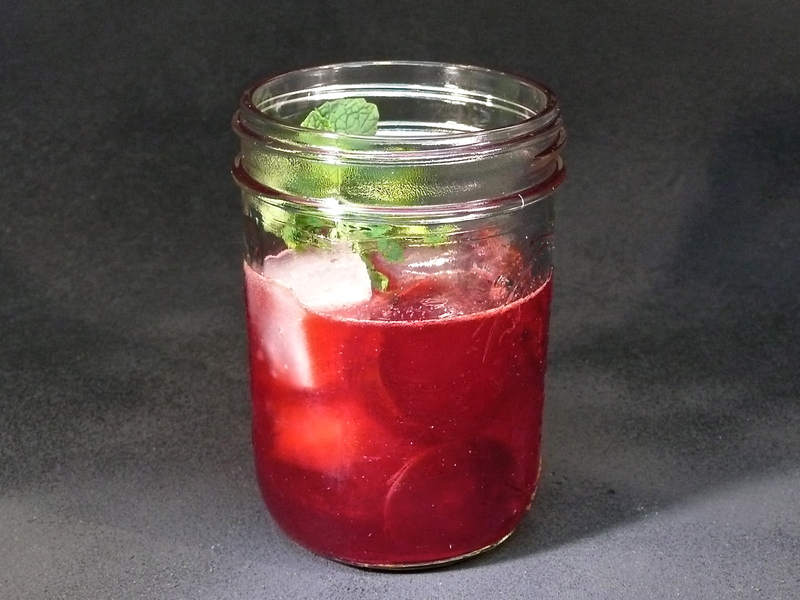 Shake vigorously and strain over fresh ice into a Tumbler or Mason Jar. Garnish with sliced Beets and a fresh Mint or Thyme sprig. 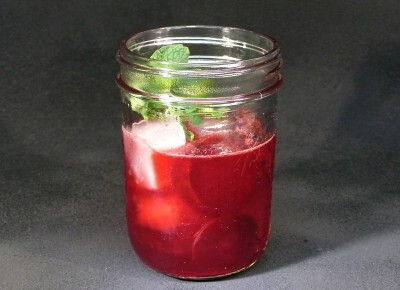 *See our Beet Juice recipe/video or use store-bought juice. 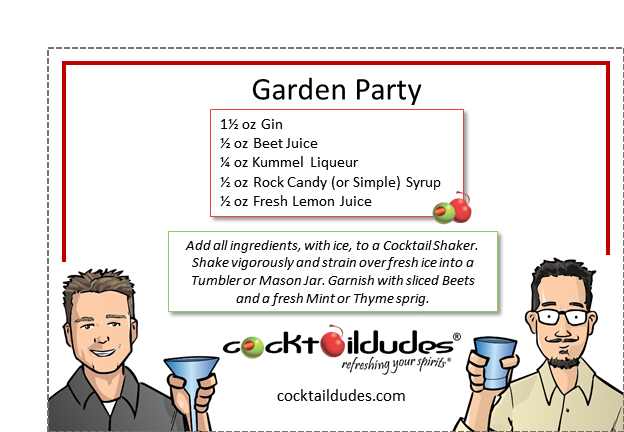 You don’t have to be a beet-lover to enjoy this CocktailDudes original. This drink offers up an amazingly fresh, sweet, and tart taste that showcases one of our favorite combinations: gin and beets. There is nothing else quite like it. Though we use Beefeater 24 or Bombay Sapphire East, any London Dry-type of gin will suffice. We add more interest with a bit of Kummel Liqueur – offering herbal notes of cumin and caraway which complement the tartness/sourness of the beets and the complexity of the gin.